A comprehensive pedaling plan to the cycle route from Campbeltown to Inverness was published last week. The 118 page handlebar bag sized spiral bound book, to guide cyclists on National Cycle Route 78, is so far available at Machrihanish Holiday Park, Patersons Bakery Carradale, Skipness Smokehouse and Argyll Backpackers at Inverneil. 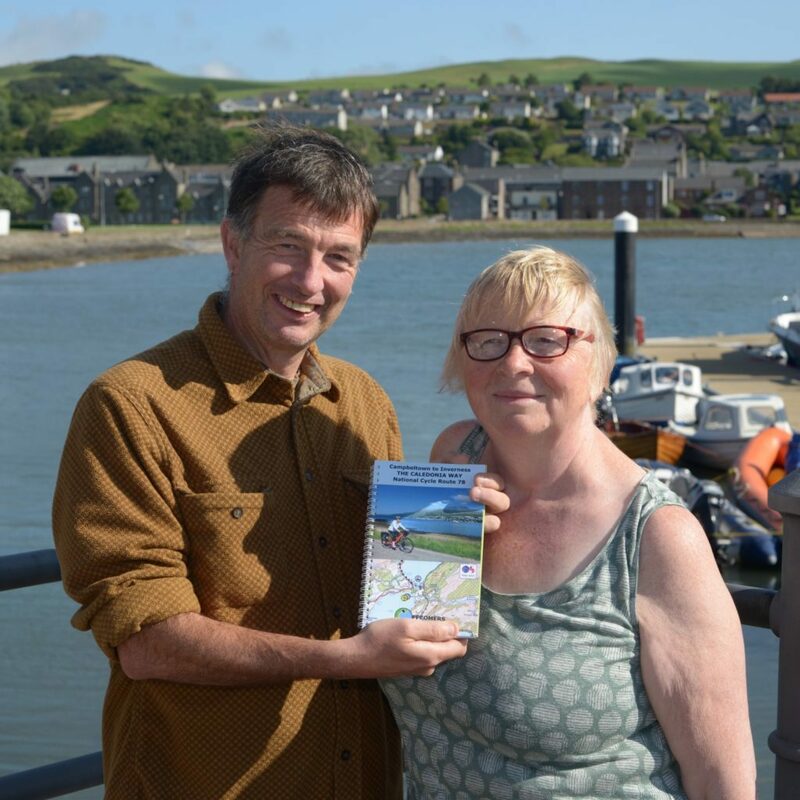 Independent publishers, The Offcomers – Janet Moss and Pete Martin, visited Campbeltown last Thursday, from their Cumbria base, to launch the book’s first edition. It was the pair’s second visit since May when they put finishing touches to the production which started about 18 months ago. Mr Martin said: ‘The Caledonia Way covers some of Scotland’s best scenery with plenty of emptiness. ‘The guide has full listing sections including complete Ordnance Survey maps of each section, a comprehensive accommodation guide and locations where cycle spares might be found. 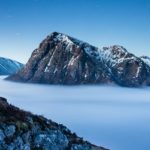 ‘We have cycled the route at least once in both directions although much of the research has been during the winter months. The route is split into six sections and includes fully Ordnance Survey maps detailing each day’s ride. Travel to Campbeltown is more complicated than to Inverness, for the bike borne tourist, but the Offcomers suggest the ferry as a good option particularly as the fare is £7.90 and the bike goes free. Apart from some slight niggles, such as the second line, describing Campbeltown as being at the southern end of the Kintyre Peninsular (sic), it is a fine guide to the route. There are ominous omissions in the accommodation listing and places to eat. For instance in Campbeltown Amelias, Food for Thought and Ceann Loch Diner are excluded. Neither of Campbeltown’s fish and chip shops are included, either in the listings or on the map, despite there being a map symbol for those takeaways. Many cyclists are inquisitive and will no doubt discover other options as the guide is just a starting point. The Caledonia Way may also appeal to motorised travellers as well as the self propelled. A separate concertina trip planner leaflet, inserted at the back of the book, shows a height cross section of the full route and is cross referenced to the accommodation providers.